This week one of the original Avalon Beach SLSC's Ocean Swim originators shares a few insights into what being a member of a surf club is and how Stephan Jacek, a Life Member celebrating 35 years at this club, has found keeping on giving back to the community is actually keeping him passionate to be out in the world community. 2017 marked the 25th Anniversary of the Avalon Beach Surf Swim. Three of the original four founding members of Avalon’s Ocean Swim, Stephan Jacek, Roger Sayers and Warren Young OAM, from the first event, are still there and were on the beach. 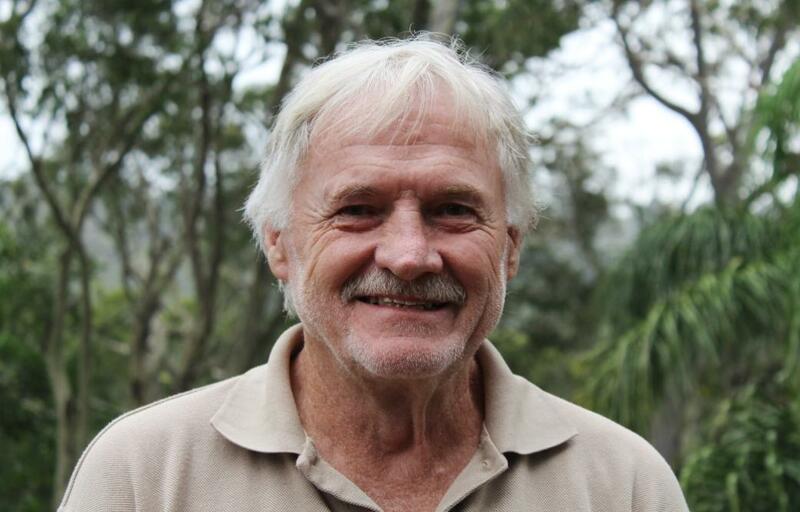 The fourth founding member, Michael Rodgerson, moved to Queensland in 2001 and is currently Vice President, Coolangatta Surf Life Saving Supporters Club. “…still here 25 years later having fun!” Warren said a few weeks back. The 29th of November 1946 in a place called Haltern in Germany. My parents were post-war refugees who came out to Australia in 1950, arriving at Perth. Mum told me before she passed away that dad was born in Poland and she was born in the Ukraine. Apparently prior to the war or during it there wasn’t much of a recognised border between Poland and the Ukraine. My surname, from what I can work out, is a Christian name in Polish which means ‘John’ or 'Jack'. Dad was taken to work in Germany in a coal mine when he was 15 and mum was also taken to Germany and made to work. We came out on theHellenic Prince departing Naples, Italy 23 March 1950. I have a record of the ship we came out on and a lot of the people on that passenger list as some of them ended up in the same migrant camp we were sent to. From Perth we sailed to Melbourne and were placed in the Bonegilla Migrant Camp. From there we were transferred to Scheyville, which was out near Windsor. I remember there was a pond there we’d play in. I think it was a good experience for us. My father, Michal Jacek, bought 32 acres not far away from that migrant camp and we ended up living in this farm – it was very rural then. I couldn’t go to the school at the camp so ended up going to Windsor primary and then Richmond High. Dad had always been a farmer, this is what he did prior to us coming out to Australia. Dad was growing cucumbers, gherkins, watermelons and also cultivating mushrooms. Sheds to grow the mushrooms in were built and we had a contract with Edgells. It was hard work; I’d come home from school and work – I can remember picking mushrooms until after midnight in the dark, because we didn’t have the sheds then. I got a job with Sydney Water and worked there for 40 years. I started off as a Survey Draftsman and trained up for Survey Technicians. They didn’t have that many surveyors and as Survey Technicians we did all the levelling around here for the sewers when they went in. I spent five or six years going around here (Pittwater) with a bunch of guys just levelling the area so the sewers could be designed and put in in the late 1980’s and early 1990’s. How did you move to Avalon Beach? When I got married to Christine in 1971 we lived in a flat in Merrylands for six months. We hated it so we bought a house in Guilford for 16 thousand dollars. We lived there for 8 years and our eldest daughter Sarah was about to start primary school and we decided we’d make a move. We used to go to the beach at Manly and would also come up this way. We had been to The Basin years before – we’d gone to West Head and walked down to The Basin and thought ‘there’s got to be an easier way to get here’. Then we saw you could catch a ferry across and so we drove through Newport and Avalon later on and thought ‘this is fantastic’ and decided to make the move before the kids started at school. People said ‘why would you want to move there? – you won’t know anyone’ but when you have kids it’s like you have instant friends – you meet everyone. We moved here in 1980. Our kids went to Maria Regina and then Kate, our youngest, attended Mackellar, and Sarah went to Brigidine, didn’t like it, and ended up doing her last few years at Barrenjoey. Our son Simon did the same, started at St. Augustine’s and then moved to Barrenjoey. You have been a Member at Avalon Beach SLSC for 35 years – how did you get involved to begin with? Through the Nippers – we joined the surf club and the swimming club at Bilgola. I was the Age Manager at Avalon for my son, Simon’s group – it’s something you do as a parent, you get involved and you stick your hand up. A natural progression was to join the senior club, get your bronze and do patrols. I ended up on the committee becoming chief instructor and then a Branch examiner. Even with Kate, when she got involved with Netball. I ended up as a coach for the Netball team even though there were some ladies there who had coached before. I didn’t know anything about Netball, so that was a learning experience. When my son played Rugby for St. Augustine’s I was Manager for the side. He was playing Soccer for Avalon as well and I was manager for the side there too. Wherever the kids were I’d get involved. Where did the idea of the original Avalon Ocean swim come from? The Palm Beach Swim was already going, I’d gone in it a couple of times, but there were hardly any beaches or surf clubs that had these swims. At first we entertained the thought of having it from Bilgola to Avalon but when we went out in the rubber duck to survey the swim it was just so rough around that point, and would stretch the Water Safety we had, that we decide to have it within the bay of Avalon Beach itself. So you had been in a few Big Swims? I used to go in triathlons, was a regular in these, so being involved in such events has been a long-term interest for me. After 36 years at Avalon Beach SLSC, what keeps your interest there? Still wanting to be involved in some little way. When I first joined you’re meeting people and accumulating lots of mates, people who are still friends to this day. a few years ago I had a stroke and had to take a medication for this – one day when I was at home by myself I split my ear open, and it being above the eye line, I couldn’t see it to treat it. I called my wife and she phone Warren Young and Bill Wall and they quickly turned up and dressed it per their First Aid ability. This underlines that when you’re a member of a surf club, you not only have mates you make for life you also have people in your life you can rely on, and not only that, that being part of a surf club gives you skills and training that are always going to be useful elsewhere. To have a surf club as the nucleus of your community you have people who not only care about the community and everyone else in it, you also have people who have trained themselves to be able to be of assistance to others when they need help. That’s a pretty good basis for any community – to have at its heart a large group of people who are putting their time and energy into others, and getting involved generation after generation. With Avalon surf club you have a lot of in-club competitions as well and these certainly draw in the younger generation who love their sports and being in the water. Even though Nippers may have finished for them, there’s still a lot they can do after that where they’re learning, having time with their matesand keeping themselves fit. Has it kept you fit? Certainly. I used to play football, swim. I started playing with Riverstone and then with Windsor. There was a guy at work that played with a church team, ‘Narwee’, so I played rugby union on Saturdays with Narwee and rugby league on Sundays. The trip to Narwee was about 50 kilometres. Sydney Water had a business houses team that played down at Reg Bartley oval so I played with them for years after Windsor. There was also a lunchtime comp at the Domain which I played in as well. Christine and I also do a fair bit of travelling and have done Everest base camp and Annapurna base camp, the Inca Trail. I’m hoping to do a Trek called the ‘W’ in Patagonia later this year – so I’d credit keeping fit to being a member of a surf club as well as these other sports interests. Which has been the most challenging of those treks? I’d credit Everest base camp as the hardest simply because of the ruggedness of the trail and the altitude. The Inca Trail and Annapurna were difficult and were amazing and beautiful experiences. We’ve been to Antarctica and just recently to the Arctic – a trip that ended up taking three years as the first time we scheduled it I had a stroke about a month before we were supposed to go, the year after the ship needed new engines so the trip was cancelled but then last year we finally got there and it was fantastic. We left from a place called Longyearbyen and went up past the Arctic circle down to Greenland and on to Iceland. That’s Extreme Trekking – what drew you to that? I’ve always loved doing something unusual. In 1974, three years after we were married, we took a year off work and travelled the world. We started off in South America, Central America, the U.S. and Canada. We were originally just going to go to London and work for 12 months but by the time we finished travelling and reached London it was so cold we thought ‘bugger that, it’s nice and warm back home’ as well as knowing we’d earn a lot more money at home than we would there. We went from London to Kathmandu, overland, travelling through Iran and Afghanistan – everywhere in between, and I think it was that trip that inspired us to do more and do it for life. When I was planning to do the Everest base camp I spent a lot of time in preparation training – was walking all around Newport, Avalon and Palm Beach choosing the steepest inclines; Riviera or Elizabeth street. The only trouble is when you’re on that Everest trek there’s rocks, yaks, and altitude as well as avalanches you have to contend with (in the distnace thankfully). Your training does not prepare you for any of this. No matter how hard it is at the time it is so rewarding and gives you a great sense of achievement. What have been your favourite places during these travels? I love Nepal and South America, each of which we’ve been there three times. In Nepal the people are lovely, so friendly, there’s amazing scenery and a great culture. India too; the colour, the friendliness of the people – on one instance we were even invited to a wedding. There were about half a dozen guys there that bailed me up and started talking about cricket; as soon as you mention that you’re from Australia, that’s it – cricket! They love their cricket. What has all this travelling given you? The experience of being there is what I’ve loved most. Being among mountains, deserts and waterways and the wildlife you come across. Some of these trips we’ve done have been with groups and you meet some great people too. When we did one in Africa (Nairobi to Capetown) I sent everyone on that trip a copy of the little video I put together – some of these people were from Portugal, another guy was from Denmark, and he then sent me a book on Denmark in appreciation. 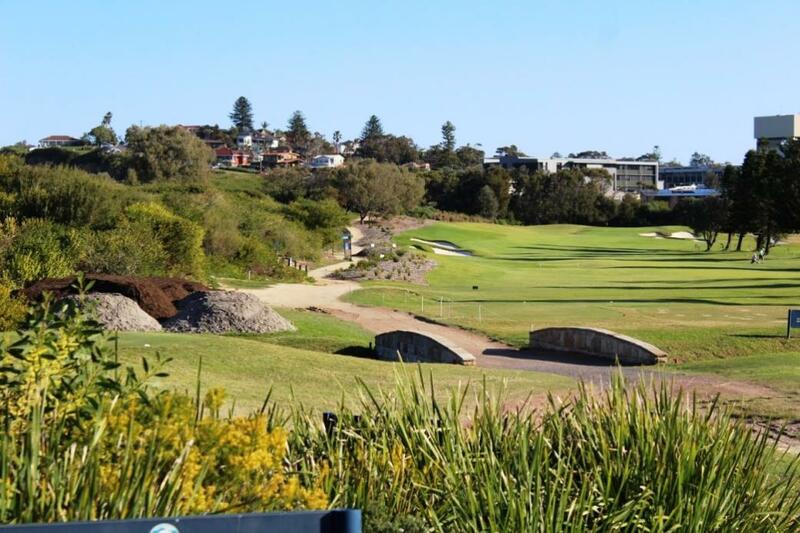 My favourite part of Pittwater is Mona Vale Golf Course, mainly because I play there and have for quite a while – it’s the best course on the peninsula. And Avalon Beach of course – I think that’s the best beach around and we are so lucky with that great waterway of Pittwater to the west. I have a cartoon at home of a frog being swallowed by a large bird and only its arms are out of the bird's mouth holding on for dear life. At the end of the Second World War, many hundreds of thousands of people who had been brought to Germany from occupied countries to labour in German industry were unable or unwilling to return to their homelands which were occupied by the army of the USSR (mainly Poland and the Baltic countries - Latvia, Lithuania and Estonia, in addition to Hungary, Czechoslovakia, Ukraine, and Yugoslavia). These people came under the care of the International Refugee Organization (IRO). They were screened, given the status of Displaced Person and housed in camps in Germany, Italy and Austria. On 21 July 1947, the Commonwealth Government entered into an agreement with the IRO for the resettlement of European Displaced Persons in Australia. This scheme was subsequently known as the DP Group Resettlement (or ‘Mass Resettlement’) scheme. During the lifetime of the DP Scheme, the Australian government’s official representation in Germany was the Australian Military Mission in Berlin, which presided over the recruitment activities by Australian Migration personnel. From 1948, the Migration Branch of this office was headquartered separately in Cologne, with the Selection Teams being accommodated at various locations in the British and American zones of Germany. They were heavy dependent for their operations on the goodwill and cooperation of the British and American military authorities since all basic needs such as accommodation food, transport and communications came from this source. All applicants within the worker age limits under this scheme undertook to remain in the employment found for them by the Commonwealth for a period of two years from the date of their arrival, and their continued residence in the Commonwealth was subject to their observing this undertaking. At the end of this period, these conditions of entry were revoked and the DPs effectively became permanent residents with the normal rights of citizens to live and work where they chose. To meet its responsibilities under the agreement, and to ensure an appropriate environment for the reception of the DPs, and for their absorption into the community, the Commonwealth set up its own Reception and Training Centres at Bonegilla in Victoria, Bathurst and Greta in New South Wales, Graylands in West Australia and Woodside in South Australia. At these centres, the new arrivals were again medically examined and x-rayed and interviewed individually to assess their employment potential, within the limited range of the government’s intent; men had been recruited to work as labourers and unskilled workers, women as domestics, nurses and typists. Generally, any professional qualifications and technical skills the DPs possessed were ignored. Subsequently, as the scheme progressed, many other accommodation centres for dependants of workers were established in many locations, from Cairns in North Queensland to Cunderdin in West Australia. After a slow start, owing to the shortage of suitable shipping (there was only the one voyage in 1947, and sixteen voyages in 1948), there was a great expansion of the program when more shipping became available in 1949. In that year, the number of ships on charter to the IRO peaked at forty (exactly half were USATs) and there were seventy-eight DP voyages to Australia. Despite a change of government in Australia (which removed from the scene the personal drive and commitment of Minister Calwell and installed a new ministry which favoured traditional British migration), the program continued at a high level through 1950 and 1951, but decreased as the IRO neared the end of its mandated existence. When the IRO wound up its activities in early 1952, there were still many Displaced Persons in camps in Europe who had already been accepted for migration to Australia under the DP Mass Resettlement scheme and whose passages had still to be arranged. This migration continued until late 1953 (under the auspices of the International Committee for European Migration – ICEM), usually by placing small numbers of people on ships carrying migrants under other schemes, or on a scheduled commercial service, rather than on ships chartered solely to carry DPs, as done previously. The last arrival occurred in September 1953, bringing the total number of arrivals under this scheme to approximately 170,700 persons. Most of the voyages originated in Bremerhaven, Germany. In the middle period, many Displaced Persons were transported to Naples, Italy, by train, from Germany and Austria. Other occasional ports of origin were Genoa, Nordenham (near Bremerhaven) and Rotterdam on the Atlantic coast, and Genoa, Venice, Trieste and Piraeus in the Mediterranean. A few voyages collected further DPs en route form camps in Lebanon and Egypt (mostly Yugoslavs) and one voyage collected Polish DPs from a camp in Kenya, East Africa. The department attempted to alternate the arrivals between Melbourne and Sydney to even out the flow of new arrivals to Bonegilla and Bathurst centres, respectively, with limited success. Occasionally, a ship was directed to disembark passengers at Fremantle, Adelaide or Newcastle, usually as a result of specific employment opportunities in these areas. (Many other persons who had been DPs in Europe migrated to Australia during these years as privately sponsored migrants; not under the government sponsored Mass Resettlement scheme. This is particularly the case for Jewish DPs sponsored by the Australian Jewish Welfare Society (AJWS) and the American Joint Distribution Committee (AJDC). These organisations were active in France and many of these voyages, by ships such as ‘Derna’, ‘Napoli’ and ‘El Soudan’, originated from Marseilles. There are files on these voyages in the Immigration Departments series A434; but, as the DPs involved were not recruited or selected by the Australian government officials, there are no migration selection documents for these people as there are for arrivals under the Mass Resettlement Scheme. The ship ‘Hellenic Prince’ was chartered by the IRO to transport DPs to Australia. This voyage was the ship’s third DP voyage to Australia departing Naples on 23 March1950 arriving in Melbourne 25 April 1950 carrying 1000 DPs. The majority were mostly from Europe, Poland and the Baltic countries, in addition to Hungary, Czechoslovakia, Ukraine, and Yugoslavia and were composed of single males, single females, married couples and family groups. It is noted that Nominal Roll No 794 Ernest Pavulins disappeared from the vessel on 19 April 1950 and has been presumed lost at sea. Nominal Roll No 843, Erna Bialecki, married, 30 years, Polish was admitted to the Women’s Hospital. All other passengers proceeded to the Department of Immigration Reception and Training Centre, Bonegilla, per special trains which departed from the ship’s side at 8:50am and 9:50 am on 26 April 1950. National Archives of Australia: A446, Correspondence files, annual single number series with block allocations. Louise Holborn, History of the IRO (OUP London, 1956). Year Book of the Commonwealth of Australia, No. 39, 1953 and No. 42, 1956. Peter Plowman, Australian Migrant Ships 1946 – 1977, Rosenberg Publishing, Sydney 2008. Peter Plowman, Emigrant Ships to Luxury Liners, NSW University Press, Sydney 1992.